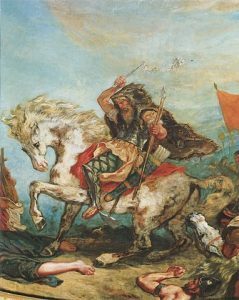 Attila the Hun was the most powerful leader of the Hunnic Empire. 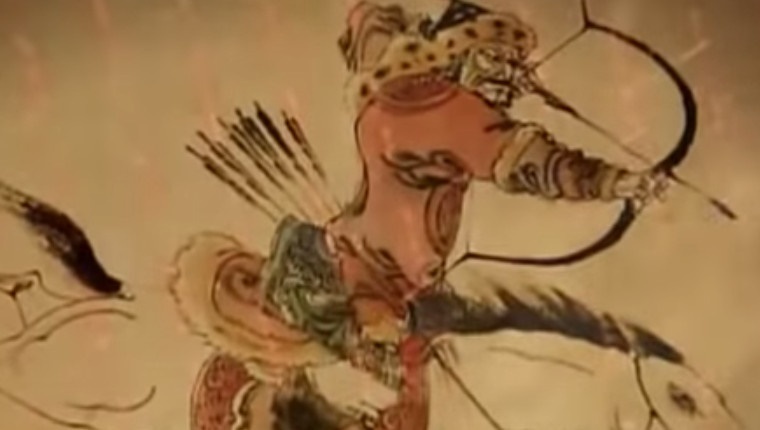 Scourge of God to the Romans, and the embodiment of god’s will in the eyes of the Hun. 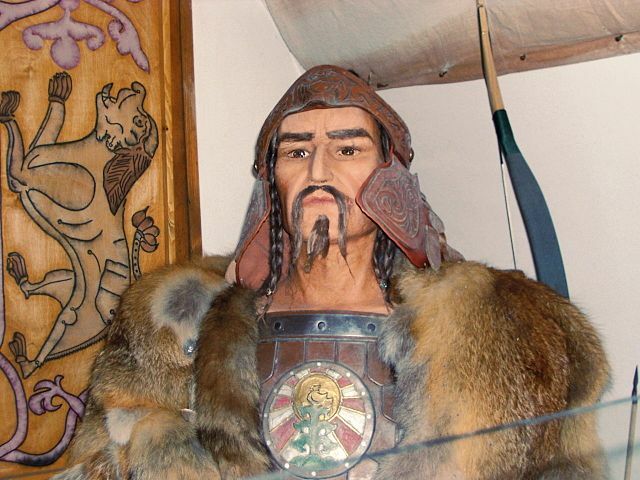 Attila the Hun is one of the most famous leaders in history, and these 10 facts make it easy to understand why. The Huns were a nomadic tribe who lived from the 4th to 6th century. By 430 ad the Huns were in control of a vast territory. Under Attila they became a great empire, which threatened even the Romans. Huns, Ostrogroths, and Alans were the main ethnic groups in what was a tribal empire. 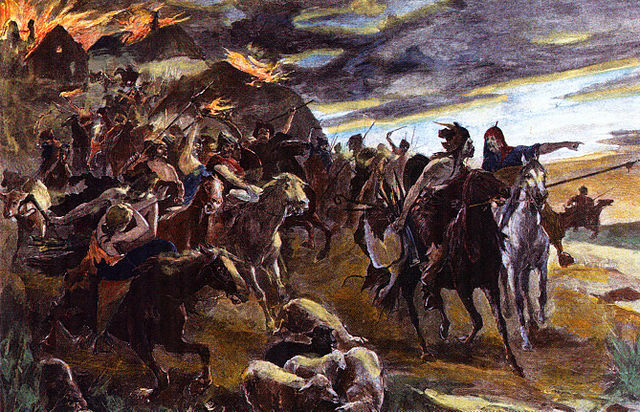 Attila was the most significant of the all the Hun’s leaders. He brought his tribe to new heights. Attila made them so strong, that they began invading some of the most powerful factions at the time. He successfully invaded the Roman Empire, and attempted to conquer Roman Gaul (known as France today). The Huns themselves were illiterate, and so they didn’t have the ability to keep any records themselves. This means little is certain about them, and we’ll never fully understand things from their point of view. The Huns aren’t looked at favourably by history. It was their enemies who wrote their history. Unfortunately, but unsurprisingly, there’s a history of people exxagerating the history of their enemies. So, you have to take some parts of what is said about them with a grain of salt. 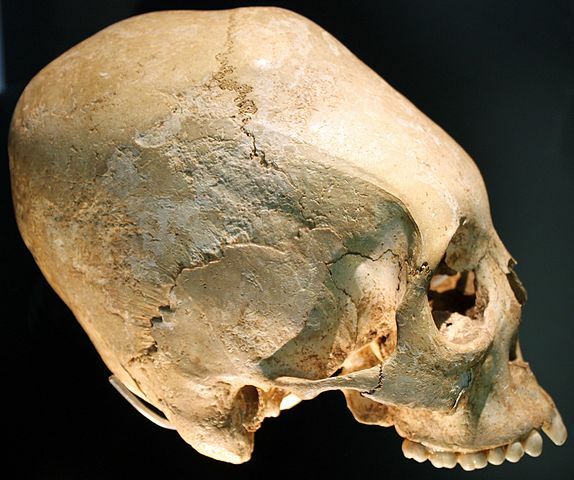 One account of the Huns was recorded by a Goth, named Jordannes, writing in Italy in 551. This is almost 100 years after the death of Attila, to put it into context. Jordannes didn’t speak favorably of the Huns, describing them as a “savage race, which dwelt at first in the swamps, a stunted, foul and puny tribe, scarcely human and having no language save one which bore but slight resemblance to human speech.” He continued to write about them, and said that their opponents would flee in terror after seeing their head, which he described as a shapeless lump, with pinholes rather than eyes. In contrast to the bleak picture painted by Jordannes, Attila had a privileged upbringing. He had been born into one of the most powerful, families in the world. So, naturally, he learnt about many different fields. He learnt to ride horses, shoot bows, and hold his own with a sword, all of the most important skills for a warrior. Attila learnt about languages, including Gothic, and Latin. He spent time learning about military matters and diplomacy as well. So, the life of Attila the Hun at the very least was in stark contrast to how the majority of the Huns were supposed to live. According to Roman historian Ammianus Marcellinus, the Huns were heavily reliant on their horses, and rarely, if ever parted from them. 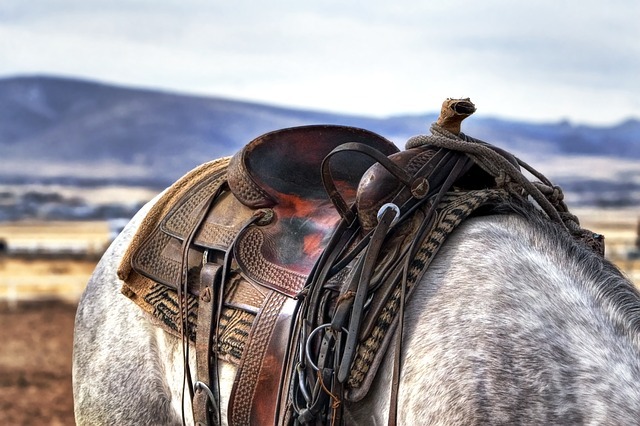 They would conduct their daily routines on while riding, hold important meetings without dismounting, and even sleep on their horses when tired. In battle, they applied the same rule. During battle, they advance in packs, and shout war cries. They travel light, and had exceptional mobility, an advantage they used to win battles. The Huns rode with a speed and dexterity that displayed years of experience on horseback. Since the Huns never left their horses, it’s easy to see how they accomplish this. Because of this they fought with a confidence in battle other soldiers couldn’t match. 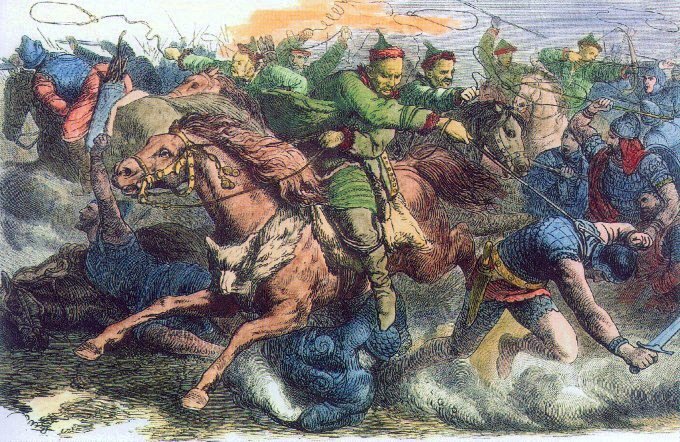 Attila the Hun was at the head of an unusual but formidable army. 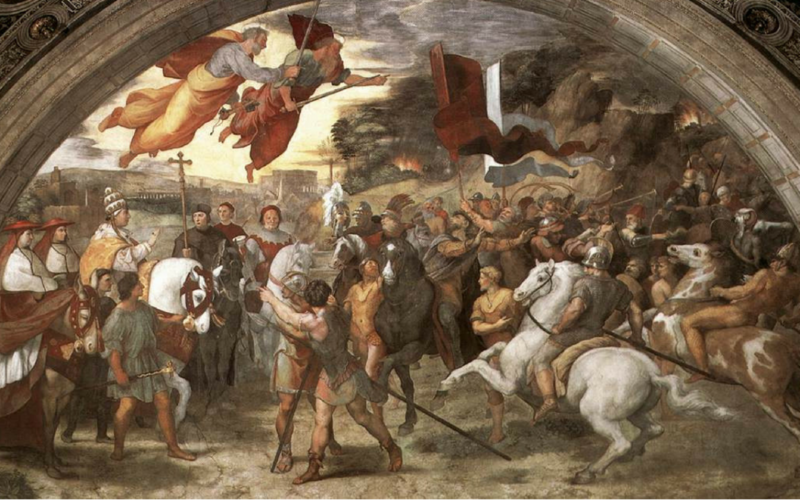 The army was almost entirely composed of horse archers, and only used infantry as auxiliary. Their cavalry used light armour, and composite bows. They never charged into their enemies, instead they would ride around them and shoot arrows. Their mobility meant it was hard to catch up to them, which put them at an a major advantage when they only needed to attack from a distance. In reality their bows weren’t very powerful, and couldn’t penetrate armour. The arrows would have to be aimed at unarmoured targets. What About The Huns Is Similar To The Mongols? The Huns used horses known as Steppe Ponies. The Romans described them as being ugly, but impressive. Huns would normally have multiple Steppe ponies each during warfare, and switch between ponies when one started to get tired. Steppe ponies had many advantages over larger horses. They were lighter, and didn’t need to eat as much. They used mares since they could use the milk for sustenance, and because they were easier to control than stallions. These tactics, are incredibly similar to the Mongol Empire, which also originated from the Asian Steppe. 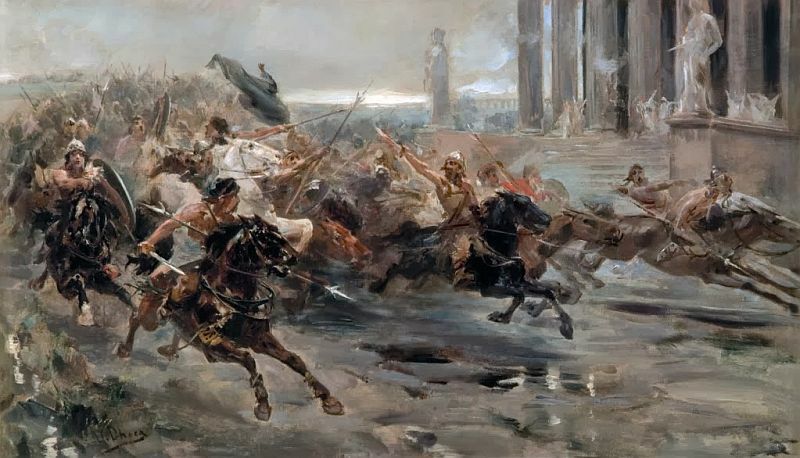 Attila the Hun had reached incredible levels of success while invading other civilisations and the Hunnic empire was one of the largest in the world. However, Attila died after a night of intense partying 453. The empire fell into disarray. His two sons started an internal conflict. Other powers capitalised on this opportunity to attack them while they were in a weakened state. He died on the night of his marriage, where he had taken a woman named Ildiko to be his wife. The next day he was found dead due to an alcohol overdose, and bleeding from the nose. 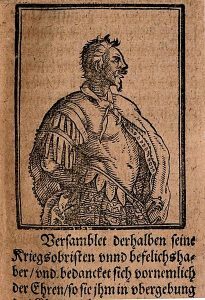 The Romans described Attila as the Scourge of God. The Romans hated him, because he attacked and plundered the Roman Empire. Roman historians never described him favourably. In their eyes, he was ugly, aggressive, and menacing. The Hunnic empire under Attila the Hun, was actually larger and more powerful than the Roman one. The Hunnic Empire was an incredible threat to the Roman Empire, and if it weren’t so short lived would have raised more hell on their lands. The Huns, of course, took a completely different view of Attila. They believed it was the will of god for him to become a powerful ruler. They believed this because Attila, held the sword of Mars. He had found it one day when he encountered a shepherd by chance. Near the shepherd, he noticed a trail of blood. The shepherd told him to follow the trail, and so he did. That’s where he found the sword, and pulled it out of the ground. Honoria, the sister of Emperor Valentian III, was intended to be married to a rich aristocrat. She had no choice in the matter. The Emperor was puppeteering the marriage. In an attempt to escape her marriage, she wrote to the scourge of god, Attila the Hun. She asked him to help her escape her marriage. Attila took this to be a marriage proposal, and declared he would claim her as his wife, and conquer half of the Western Roman Empire in her name. In the end she still married the aristocrat, but Attila invaded Rome twice in her name, after receiving the letter.